Construction started in November 2018 and delivery will be for the second quarts 2020. Situated in the municipality of Benahavis, one of the most exclusive areas on the Costa del Sol this development is a luxurious, modern and innovative residential project. A well-thought-out development of only 24 luxury dwellings which is comprised of 2 and 3 bedroom apartments on the ground and first floors; and 3 bedroom duplex penthouses all of which benefit from spacious terraces and private gardens, designed for seamlessly enjoying outdoors and indoors. The living room, with direct access to an impressive terrace, is joined to the open kitchen, which in turn gives onto a terrace-dining room to offer you a variety of living areas and a diversity of views and aspects from any point in the apartment. Relaxation has been one of the most important features in the well considered interior design. The bedrooms have been designed to provide a peaceful setting, offering perfect views thanks to their synthesis with the outside. 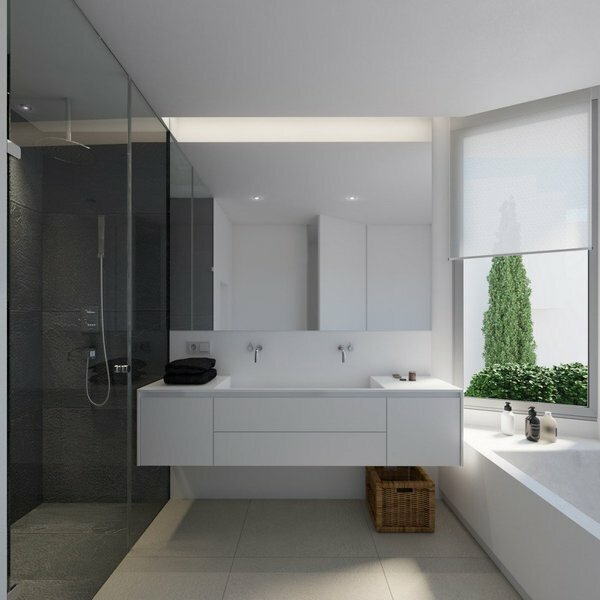 Bathrooms incorporate natural light to create spaces of health and wellbeing. The development has two pools: one outdoor and one indoor. 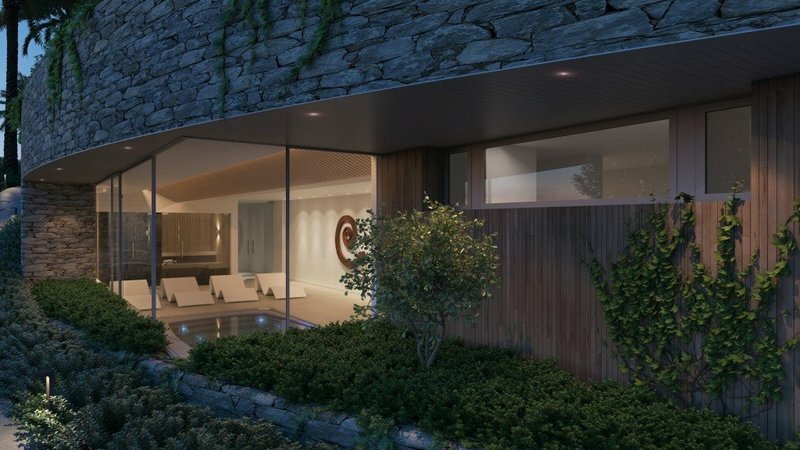 The heated indoor pool benefits from a magnificent window that can be opened, sliding into the wall and merges the interior space with the garden in front. In addition there is a spa area with sauna, Turkish bath, thermal shower and fully equipped gymnasium. Making the most of its raised position, with south-west orientation, our project benefits from open views over the sea, the surrounding golf course and the imposing presence of the mountains behind. Views: Garden, Golf, Mountains, Pool, Sea, Surrounds. Features 2 Community Pools, 5-10 minutes to Golf Course, Air Conditioning, Air Conditioning Hot/Cold, Aromatic plants, Automatic Irrigation System, Ceramic hob, Climalit windows, Close to all Amenities, Community gym, Conveniently Situated for Golf, Disabled access, Dishwasher, Double Glazing, Double glazing windows, Dryer, False ceiling, Fitted Wardrobes, Fridge, Fruit Trees, Garage, Garden, Garden and Pool View, Gym, Heated Indoor Pool, Laundry room, Lift, Microwave, Modern Style, Mountain View, Near amenities, Open Fireplace, Oven, Porcelain floor, Private Terrace, Sauna, Sea Views, Smart Home, Spa, Storeroom, Terrace, Tiled, Turkish Bath, Underfloor heating throughout, Washing Machine.